Pepper & Chocolate: Adult Popsicle. For those of you who buy Food&Wine magazine, this won’t be a huge surprise but for those who don’t, this might be a nice discovery. We spotted this recipe in an old issue of F&W and, as the weather was really heating up, we thought we might try it and share it with you. 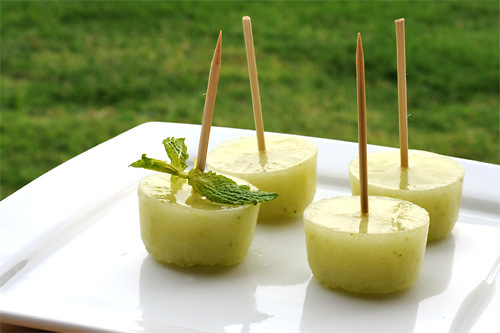 This adult treat is a perfect way to slide from the afternoon to the evening: Gin cucumber lime popsicles. This recipe is really easy and you can’t go wrong, but it is a little time consuming. It’s also easy because you can easily prepare this well before a party, up to a week in advance. ½ tsp unflavored powdered gelatin. 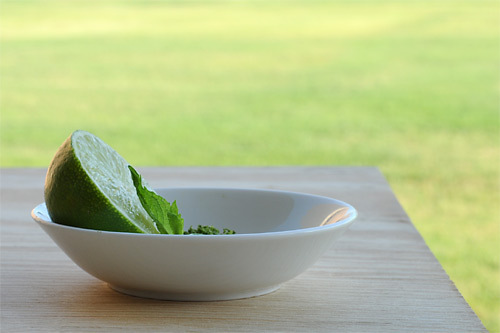 - Combine sugar, ¼ cup of water and chopped mint leaves in a sauce pan and bring to a boil. Remove from heat, cover and leave alone. After 15 minutes, strain the syrup in a bowl and let cool down to room temperature. - Add cucumber puree, lime juice, zest and gin to the syrup and whisk. - Prepare gelatin according to instructions on the pack. Typically sprinkle over 1tbsp of water, let soften, cook for 10 sec in microwave. 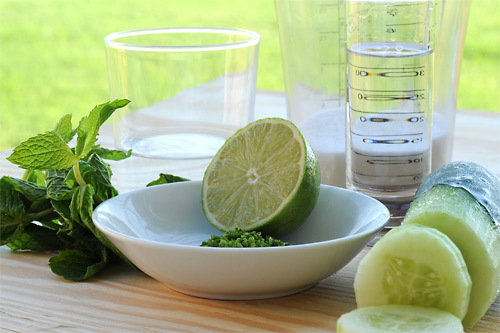 - incorporate gelatin into the cucumber syrup mixture. - Pour 1 inch of the mixture in little cups (2-3 oz) and place in the freezer. - After 1 hour, insert a stick in the center of each popsicle. - Once the mixture is completely frozen and popsicles are hard, tear off the paper cup and replace in the freezer. - Cover hermetically with a plastic wrap if you don’t plan to serve them for more than a day.